Gavin Newsom Ends California National Guard’s Border Deployment. Mostly. Gov. 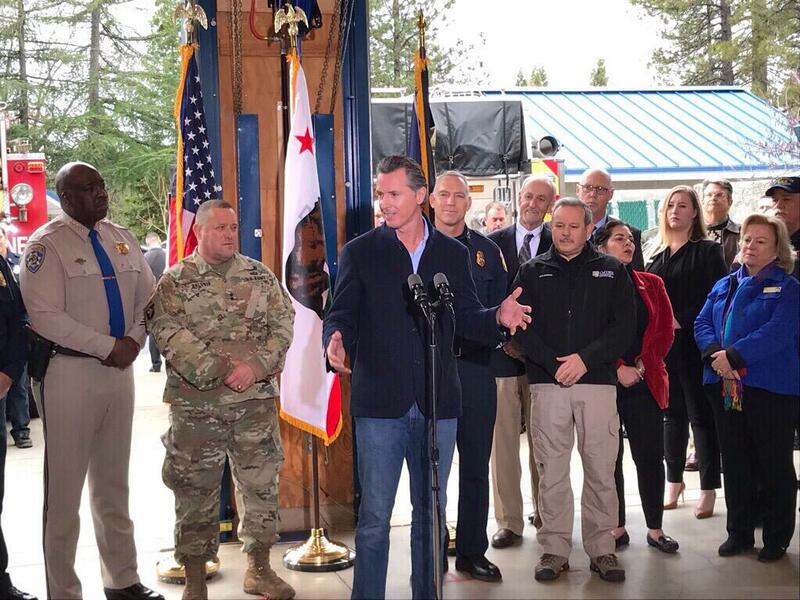 Gavin Newsom speaks during a visit to the CalFire Colfax Station with leaders from emergency and law enforcement agencies, including California National Guard Adjutant General David Baldwin (left) Tuesday, Jan. 8, 2019. At least 150 troops to expand the California National Guard's statewide Counter Drug Task Force — if the Trump administration’s Department of Defense agrees to fund the expansion.